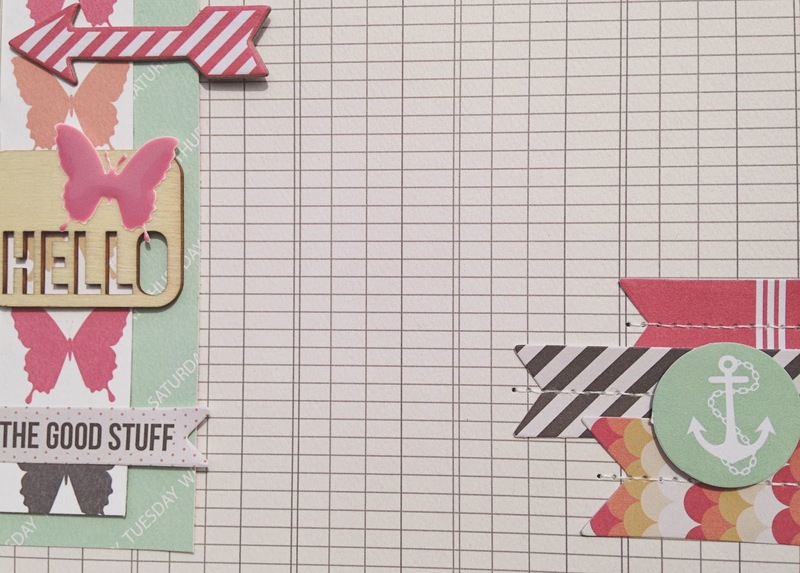 It's time for a new sketch challenge at Life.Paper.Scrapbook. and this one is sponsored by Paper Camellia. I'm so happy we hardly had a Winter overhere and that Spring came in quickly! With this weather I like to take walks with my best friend during our lunch break and the park with the pond is a favorite place to go to. It feels like being a kid again when we feed the ducks overthere. The ducks come so close, so it's easy to get some good pics of them. 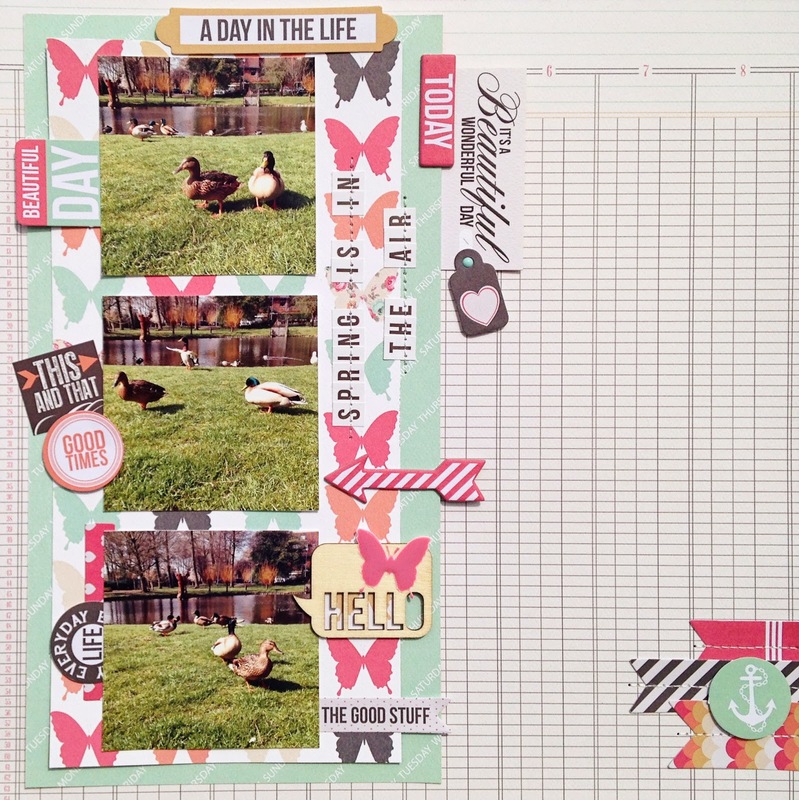 I used the Teresa Collins Daily Stories collection for this layout. 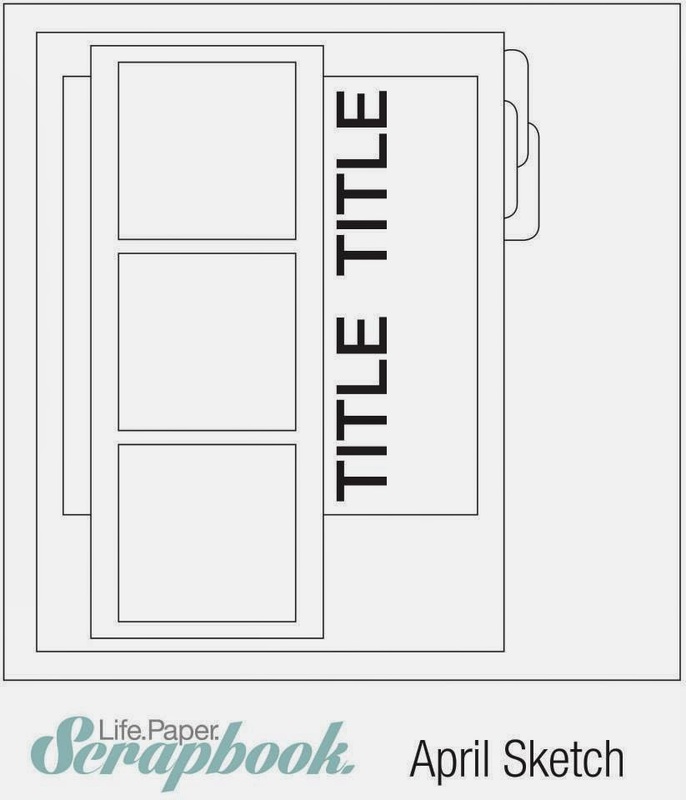 Be sure to link up your layout made with this sketch over at Life.Paper.Scrapbook. 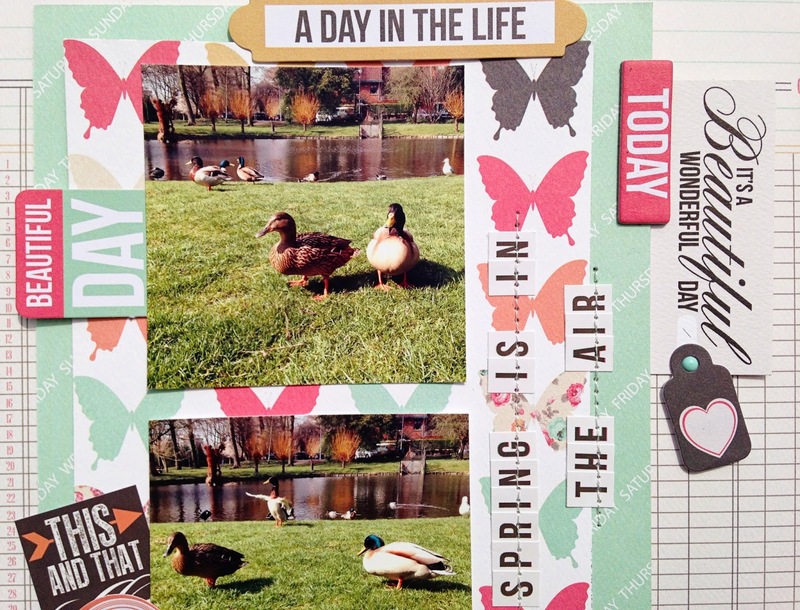 for your chance to win a Paper Camellia 'Everyday Life' Pocket Page kit! Paper Camellia is a monthly Scrapbook Kit Club founded on the belief that your creative time should be a pleasure. 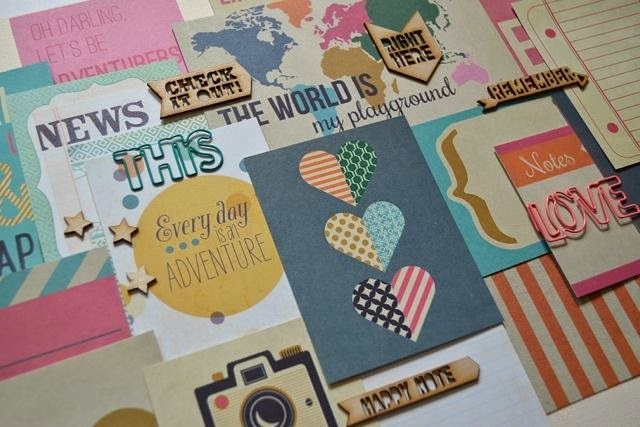 Our goal is to make it easy and effortless for you to create by offering you a destination where beautifully coordinated scrapbook products come together with inspiration, creativity and exceptional customer care. All delivered right to your door. Purchase our Kits individually, or by joining as a monthly subscriber at Papercamellia.com. This is beautiful!!! LOVING the colors and the pics!!! A lot of nice details in this layout ! Love your stitching ! Beautiful page, Danielle! Love the fresh colors for spring! 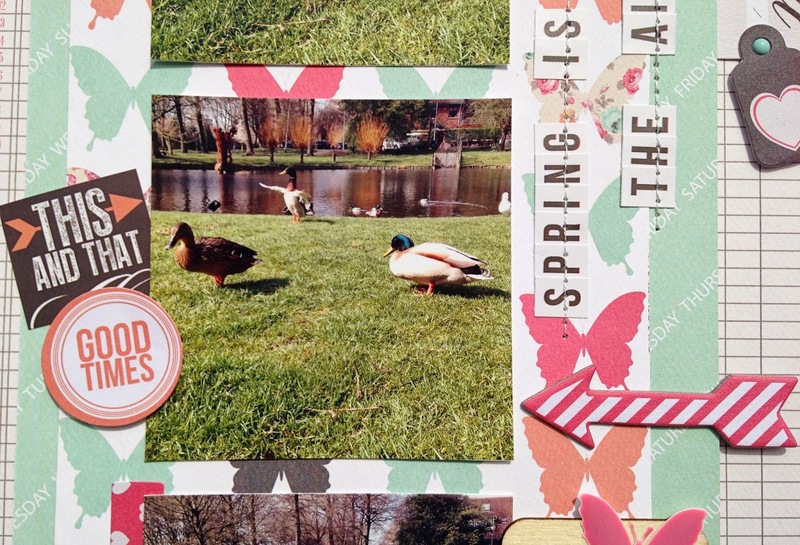 Beautiful spring page! Love your duck pics...so fun! Very pretty! Great sketch and love the butterfly on the wood. Love this Danielle!! 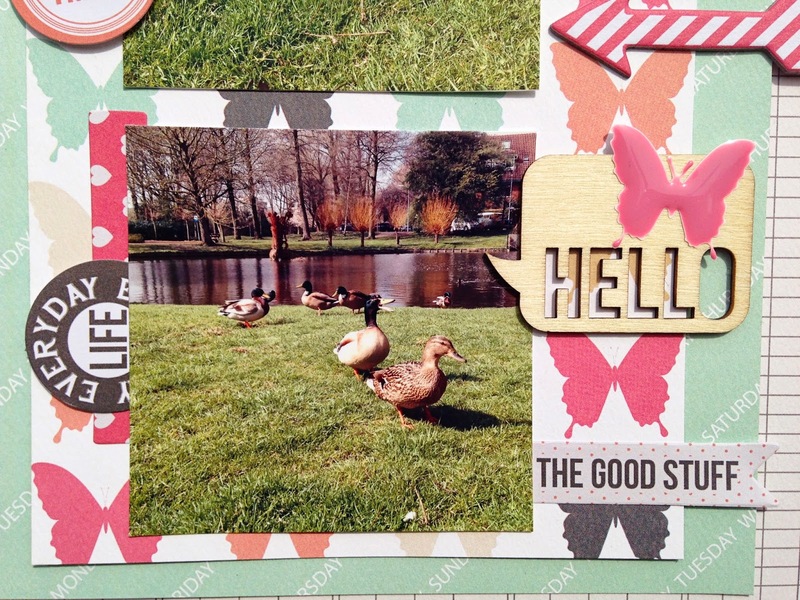 Such a cute use of the Teresa Collins products! !